Race and ethnicity are often misunderstood and often taken for granted. It is not the race or ethnicity of and individual that we do not understand, but more so what it means when we use the terms. People tend to look at race and ethnicity based on biased opinions and what they hear from other people such as their assumptions and stereotypes. Both have similar consequences in disaster, however, the two are not the same nor interchangeable. Ethnicity is based on a shared culture such as language, religion, or common norms and practices rather than specific physical traits. People coming from different races have different physical attributes; they are also not inherently genetically different in the sense of creating biological subspecies. Race is primarily a social construction; it is an arbitrary way to organize people based upon easily distinguished physical features. Race is defined as an idea and concept, and the racial categories that go along with it are culturally defined. Three commonly used racial groups in the United States are white, black, and Asian. However, there are five known races total: white, black, American Indian or Alaska Native, Asian, and Hawaiian or Pacific Islander. The categories used in the United States illustrate how specific racial grouping is to specific cultures. They for example would not help delineate populations in other parts of the world. Race is rooted in societies need to categorize people based upon easily noticeable physical differences. Hispanic is one race that is often missed or not discussed. People commonly consider Hispanics a different racial group from the rest, but being Hispanic is actually considered an ethnicity. Spanish-speaking cultures can be any race, but most have Latin American roots and are more than likely to be considered,” people of color.” Ethnicity is defined differently in different geographical areas. Similar to racial categories, Ethnic categories are socially constructed and culturally defined. One reason race is such a significant feature of society is that physical attributes serve as visual markers designating one person different from another. This is significant for how society is structured. Race and ethnicity gives us a convenient system in order to segregate, isolate, and discriminate. They create a basis for prejudice and discrimination. The important note to take about the above is that it is how race and ethnicity are interpreted by society, and the structures surrounding race and ethnicity that relate to vulnerability. Each race are as defined in the U.S Census: Whites are people having origins in any of the original people of Europe, the Middle East, or North Africa. African American people are capable of having origins in any of the black racial groups of Africa. American Indian and Alaskan Native people have origins in any of the original people of North and South America and who maintained tribal affiliation or community attachment. Asian people have origins in any original people of the Far East, Southeast Asia, or the Indian subcontinent. Native Hawaiians or other Pacific Islanders are people having origins in any of the original people of Hawaii, Guam, Samoa, or other Pacific Islands. Often on applications or documents requiring race you may skim over one that says other, this option is for respondents who are unable to identify with the five OMB race categories. Since individuals are treated based upon a stereotypical expectation, they often reinforce the stereotypes themselves. Life chances, then, are altered because what people assume about a group of people is applied to every individual of that group as well. 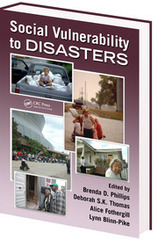 As stated in Social Vulnerability to Disasters in Chapter eleven, Government data show six recent trends that point to the importance of considering both households and families when dealing with disasters. According to the U.S Census Bureau First, the popularity of marriage is declining. Second, the age when people marry is increasing. Third, there is growing acceptance of couples living together without being married. Fourth, census data appear to undercount lesbian and gay families. Fifth, the rate of divorce remains high. Sixth, there is an increase in the number of minority groups in the United States, many of whom have patterns of marriage and family structures that are different from those of whites. The seventh would be delayed childbearing, as well as increased longevity, resulted in many couples living in households or families without children. Increased rates of divorce and unmarried parenthood have resulted in many single parent households. Multi-generational households may also contain elderly members. Seniors citizens respond to evacuation messages when they are received but may require transportation assistance. Disabilities increase with age, households with people who are disabled may not be able to evacuate easily. Households and families with fewer material and human resources will be at greater risk. 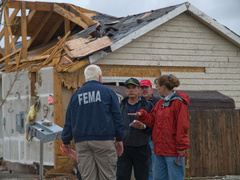 Purchasing insurance, being able to evacuate, and affording recovery helps safeguard a family or household against disaster. Multiple family members in a household help increase the number of people available to mitigate disasters. Families embed in social networks that provide practical links to sources of warning information, evacuation resources, and recovery assistance. Poor households, female headed households, and households that hold members with disabilities are more likely to be vulnerable to disaster. Families that bring in lower incomes are also at a higher risk for injury, death, and property loss. Families, naturally, reach out to networks of relatives and friends for assistance, which is an important factor when dealing with household response. In Florida, after Hurricane Katrina struck, relatives and friends were an important source of assistance with cleanup and repairs. Events dealing with crisis are very good at putting strain and stress upon the people involved. Levels of stress are associated with the number of moves necessary before reestablishing permanent housing, and the length of time spent in temporary shelters. The more moves and the greater the amount of time spent in temporary shelters, then the greater the incidence of persistent psychosocial effects. It may be valuable to work with families on their internal coping mechanisms in addition to providing community resources. Households and families not only are affected differently by disasters, they respond differently as well. Three factors associated with more difficult recoveries and greater stress include, inadequate economic and material resources, physical and mental limitations, and age gender race or ethnicity discrimination. Resilient families will have fewer problems and may emerge even stronger. Families that are resilient may be well informed about hazards, be well integrated into the community, and have a sound economic base. The relative power of members of a given household and family can be an important factor in whether they get needed and help and resources. 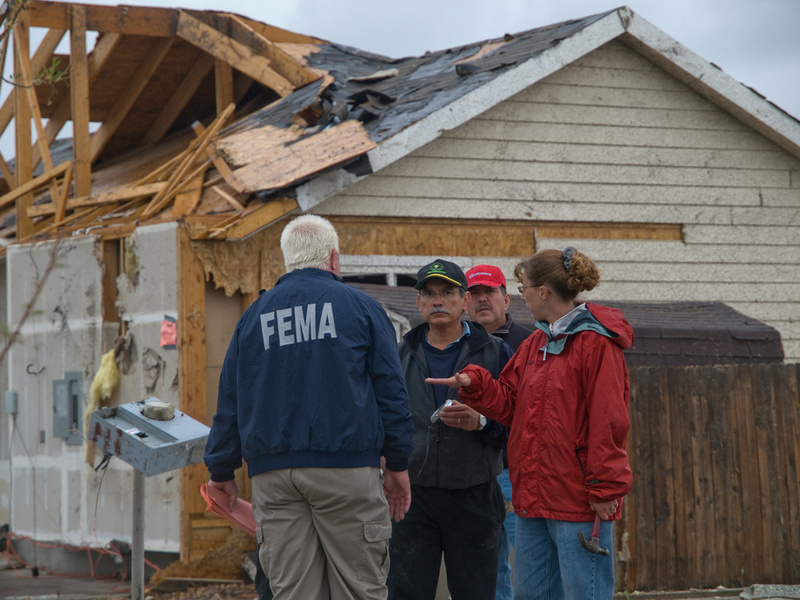 It is very important to understand that disasters affect families in many different ways. They can be affected in four ways: economic, emotional/psychological, physical, and social. No household or family is impacted in exactly the same way by a disaster. "These are all important things to know in case of an emergency. When the emergency happens, it’s too late to prepare. So be prepared in advance with these emergency safety tips. They’ll help keep you and your family from having a nightmare instead of that wonderful RV vacation you’ve been dreaming about!" A hazard is something that has the chance to cause great harm to life, property, and land. A natural hazard is something that is uncontrolable in the day to day life and all you can do is be prepared to excute and safe plan to keep your own safety! A risk on the other hand is the potential of the damage that a natural hazard can do. Also a risk is what the chances of the hazard occuring due to your geographical location. The geographical location is the key to managing your hazard and risk. If you live near any coast you have to be prepared for hurricane and several months before you even hear of one you should of have a plan of attack to get to safety. 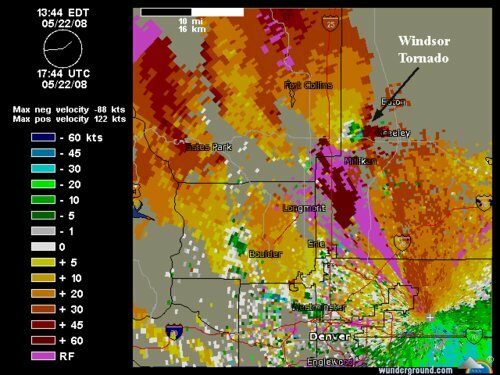 If you live in the midwest region were tornados can occur as quickly as you blink you need to have several plans so you can either leave immediatly or have time to pack some personal belongins! An intense ice storm can paralyze a region in a matter of hours, greatly affecting the people who live there. Freezing rain is dangerous because it is almost invisible on smooth surfaces and consequently, people are often unaware of its presence. Sidewalks become extremely slick when covered with freezing rain, increasing the likelihood of someone slipping and injuring themselves. 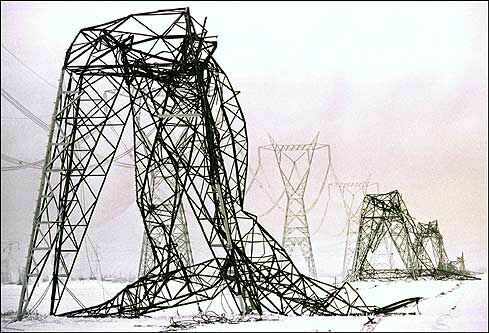 Automobile accidents are more likely to occur during an ice storm because of the icy roads The weight of ice can damage telephone poles and wires, cutting power and lines of communication to millions of people. During one severe ice storm in New England in 1921, ice that accumulated on the wires between two telephone poles was estimated to weigh over 4 tons. Ice can accumulate up to 4-6 inches deep during the most intense events, forcing businesses to shut down and greatly restricting commuters due to the ice-covered roads. 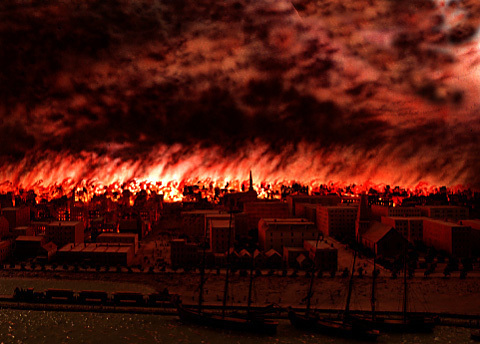 The Chicago Fire was a huge incident that killed about 300 people and left over 100,000 homeless. These websites I put up will show how to prepare for a fire and to get through it if it happens again. It's important to prepare yourself because we're never sure of when it will happen again, and sometimes we have no control to if it does. It will save not only firefighters lives, but many other innocent people as well. We can't always control the outcome, but we defiantely can help the situation if we prepare ourselves. Content of student mock scenarios, critical incident management, and practice drills. Other Resource media.